I am in the process of going through all of my photos from my trip to Istanbul. I think it may well take some time. With that in mind, I thought I’d pop in a few quick panoramic shots I got with my iPhone. The first shot was taken from a restaurant rooftop in Sultanahmet; the yellow building is the Four Seasons (a re-purposed old prison, neat) and just behind it is the Hagia Sofia. The second shot was taken from atop the Galata Tower in Beyoglu, overlooking Beyoglu, the Golden Horn, Galata Bridge and Sultanahmet. 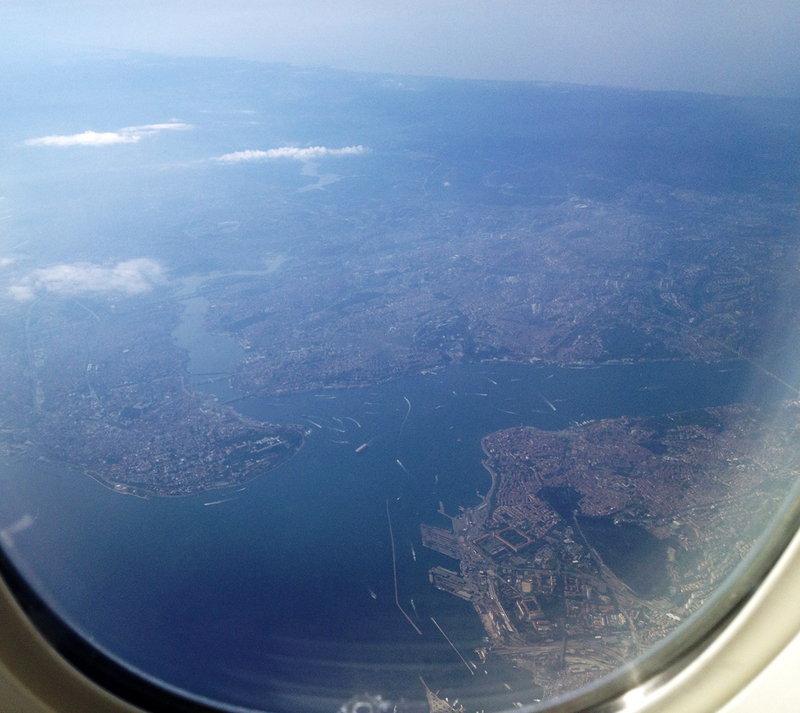 …and a landing shot of Istanbul from the plane. Why not. It’s not very clear but you can still make out the not-very-small Topkapi Palace.